When using any kind of tools, wearing the right safety gear is essential. For welders, safety equipment provides protection from sparks, heat, and the damaging bright light of the equipment. Watch this video to learn more about the safety equipment you need if you rent a welder. Wearing clothing that protects your skin, including heat-resistant gloves, is important. You will also need the appropriate safety goggles to protect your eyes from the brightness and flying sparks. For equipment rentals with fast delivery and reliable tools in San Jose, choose A Tool Shed . Our team can also explain the safety equipment you need to operate your rental equipment without injury. Find out more by calling us at (800) 286-6574. 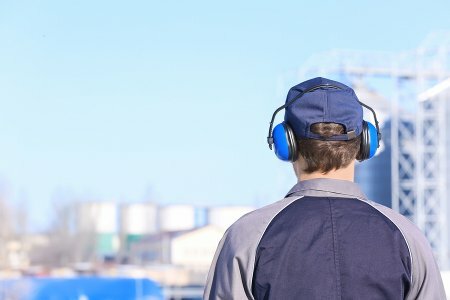 If you rent equipment for a job that generates loud noise, then protecting your ears is essential. Using noisy equipment without protect can cause lasting damage to your hearing that cannot be reversed. Investing in the right protection is the only way to avoid sacrificing your ears for your job. There are multiple ways you can protect your ears from damage when you’re using noisy tools. Earplugs offer reliable protection without being intrusive. Select plugs that you can pop into each ear separately, or opt for corded plugs, that are attached by a thin cord that wraps around the back of your head. Another protect option is earmuffs. Earmuffs can have over-the-head or behind-the-head bands, or they can be attached to a hard hat. When you rent equipment, don’t forget to use the necessary protection to keep yourself safe. At A Tool Shed, in addition to quality tools for rent and for sale, we offer an extensive selection of safety gear . To learn more, please call (800) 286-6574. 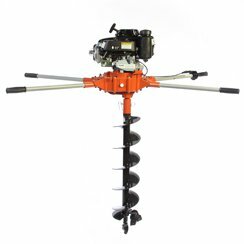 A power auger makes it easier to dig postholes, which makes it perfect for fence installations and other projects in which digging multiple holes is necessary. If you decide to add a power auger to your list of rental equipment for your project, here is what you need to know about getting the most out of it. Before any project that requires digging, call your local utility companies to ensure that you won’t be digging in any areas that could jeopardize power, gas, or cable lines. Typically, these companies will come out and mark any lines in the area of your project so that you can be sure to avoid them. You may also need a building permit, depending on your local ordinances and homeowners association rules. In most cases, permits are required when installing fencing. Before you start digging, mark all of the places where you will be creating holes, and decide the depth you want to reach. With a partner, place the auger where you want to dig and switch on the engine. The auger’s handles will move counterclockwise, and you will need to counterbalance that by putting pressure in the opposite direction. It is important not to dig too deep and to clear dirt from auger as you go. You can either pull the auger up, turn it off, and empty the dirt into a pile by tilting the machine on its side, or you can pull the auger partly up while it is on to let the dirt fly out. While you are using the power auger, stop frequently to clear out the holes. You may prefer to use a shovel to dig out excess dirt that is sliding down, so that you can stay in control of how much dirt is removed. Clearing the holes regularly will prevent the auger from becoming overloaded and too heavy to handle. A Tool Shed has all of the equipment rentals in San Jose you need to get your DIY projects done. Whether you have a small home improvement project or are undertaking a large building job, contact us at (800) 286-6574 to arrange for your tool rental. Buying used tools is a good way to avoid repeated expenses for equipment rentals for items you use regularly. Buying used doesn’t have to mean that you compromise on quality or sacrifice functionality, however. You can find quality tools at a good price if you know what to look for when buying used. Keep this advice in mind as you weigh up your options for used tools. Before you start shopping, research the tools you are considering. Look into the reputation of different brands and which ones are known to be long-lasting and reliable. Shop around to get an idea of reasonable pricing for the items you’re considering. Get to know the different features of different models and brands that are on your short list. Keep in mind that certain features that you consider important may be not included on older models of tools, so know which features are must-have for you, so you can narrow down your selection. Before you purchase used tools, inspect them thoroughly. The most important things to look for are signs of damage that could impact the safety or usability of the tool. For instance, frayed cords, taped cords, or motor vents with burn marks can all indicate that the tool doesn’t function safely. For motorized tools, turn them on and look for any signs of electrical issues or problems with the internal mechanism, such as smoke, sparks, or noises that seem too loud or inconsistent. Although replacement parts are easy to find for some tools, check to see if the tool you are considering has all of the pieces you will need. If it doesn’t, factor the cost of replacement pieces into the price. 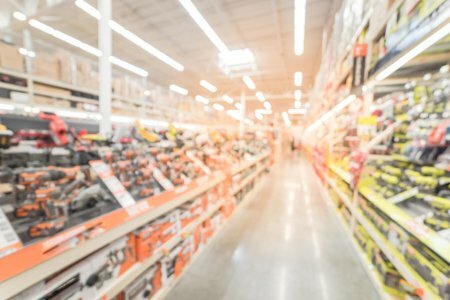 Used cordless tools are highly sought-after, especially since they can be so costly when they are new. However, batteries for cordless tools have a shelf life and will eventually lose their ability to be recharged. New rechargeable batteries can be expensive, and it’s not usually possible to fully test a cordless tool battery before buying. To reduce the risk of any issues, stick to models that are no more than a few years old. A Tool Shed offers a huge variety of used tools in San Jose that have been vetted by our team. To find out how to shop our selection of reliable used tools, please call (800) 286-6574.